The Ottawa Orthotic Lab has been providing pedorthic care in Canada’s capital since 1996. Since our inception we’ve helped all types of patients from those looking to pursue active lifestyles to Olympic athletes at the top of their game. The Ottawa Orthotic Lab Inc. was founded in 1996 by Canadian Certified Pedorthist C.Ped(C) and local Athletic Therapist, Matthew Grasmeyer. His love for running and biomechanics coupled with his sports medicine background inspired him to help patients achieve and maintain proper foot care and lower limb health so that they could live healthy and active lives. Rebecca began her journey into pedorthics in 2009 by becoming an apprentice at the Ottawa Orthotic Lab under the mentorship of Matthew Grasmeyer. Certified by the College of Pedorthics of Canada as a C. Ped. Tech. as well as a C. Ped (C) Rebecca has extensive experience in manufacturing as well as clinical assessment. Graduating from the University of Waterloo with a Bachelor of Science with Honours in Kinesiology in 2007 Rebecca has a passion for human movement and exercise science. She has a strong understanding of these topics from her history as a competitive figure skater, hiker and every-day exerciser. Kevin has been practicing as a Canadian Certified Pedorthist C. Ped (C) since receiving his designation from the College of Pedorthics of Canada in 2009. He obtained his Diploma in Pedorthics with distinction from the University of Western Ontario in 2009 and his Bachelor of Science with Honours in Human Kinetics from the University of Ottawa in 2007. With extensive training in the assessment of lower limb anatomy and biomechanics, coupled with over a decade of practical experience, he designs and fabricates devices for the purpose of treating painful conditions of the lower limbs. Custom foot orthotics, orthopedic bracing and medical compression stockings are fundamental components of his pedorthic practice. Hannah completed the Pedorthic Diploma program through Western University in 2017, and was certified as a Canadian Certified Pedorthist C. Ped (C ) later that same year. Her undergraduate degree was obtained from Western University in 2015 where she graduated with a Bachelor of Arts in Kinesiology and Sport Management. Her passion for biomechanics came from a long career in sport, and from working as the Student Athletic Therapist for the Western Varsity Wrestling team in her Senior year. 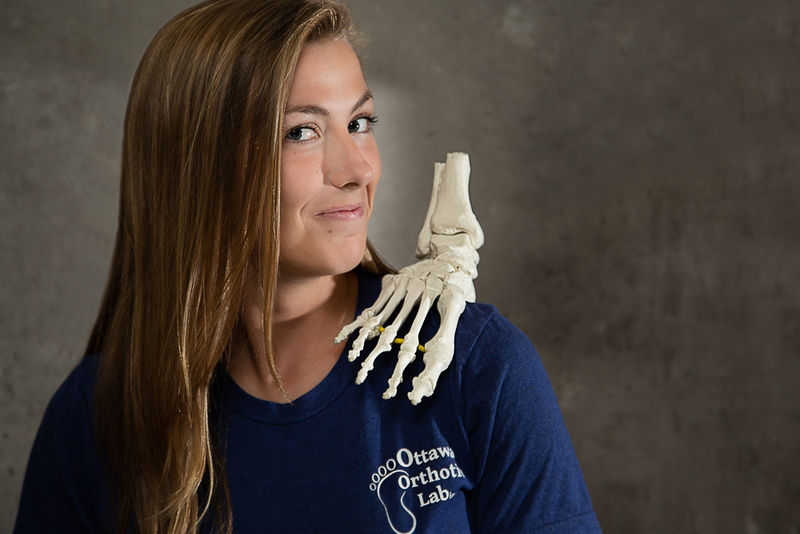 After fitting footwear part-time at New Balance Ottawa over the course of her undergraduate degree she became fascinated with how much footwear, orthotics and the human foot interact with one another. 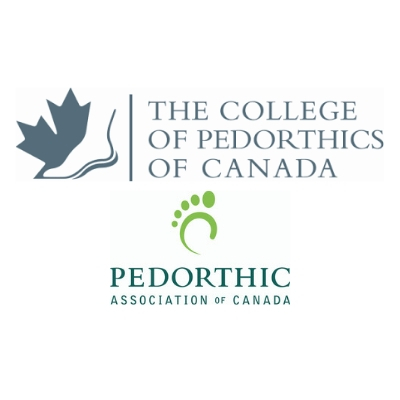 All of our Canadian Certified Pedorthists C. Ped (C) are members in good standing with College of Pedorthics of Canada and the Pedorthic Association of Canada. We are regulated health care providers with clearly defined competencies, scope of practice and code of ethics. As Canadian Certified Pedorthists, our processes (assessment, casting and manufacturing) are all insurance industry approved. We are one of the few healthcare professionals recognized by the insurance industry as approved providers of custom foot orthotics.